For half a century the R.A.I.N. family has been dedicated to providing seniors with exceptional service options, enabling them to enjoy their retirement years to the fullest. Our senior center members enjoy impeccable service from a dedicated staff, and a genuine human touch that provides friendship, love and laughter in each of our underserved communities. R.A.I.N. 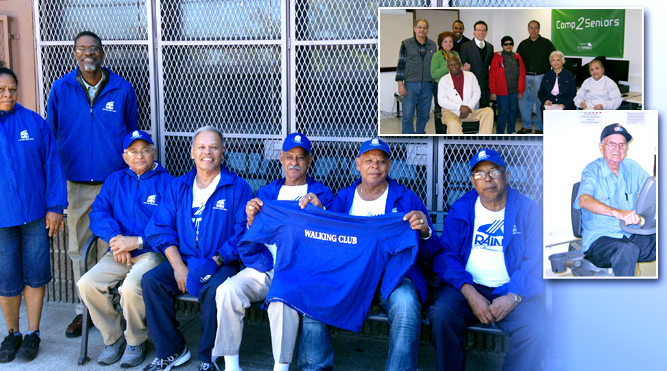 has ten senior centers throughout various Bronx neighborhoods as well as one center in Washington Heights, Manhattan. Each senior center offers a wide range of services designed to promote the socialization and overall well-being of seniors including educational and recreational activities, physical health/exercise classes, nutrition education, congregate meals, information services and volunteer opportunities. Every R.A.I.N. senior center also offers evidence-based programs focusing on the prevention and management of one or more of the following preventable chronic conditions among older adults: diabetes, arthritis, cancer, mental health and co-occurring disorders, falls prevention, heart disease, and obesity. Alzheimer’s, vision and hearing impairment, smoking cessation and obesity are other topics of interest. Additionally, some of the R.A.I.N. senior centers offer transportation and case assistance services. View all of our Neighborhood Centers And Services.